I know some of you have been asking for a tutorial for this skirt - and I'm happy to say it is finally here! Kicking off my month of tutorials. 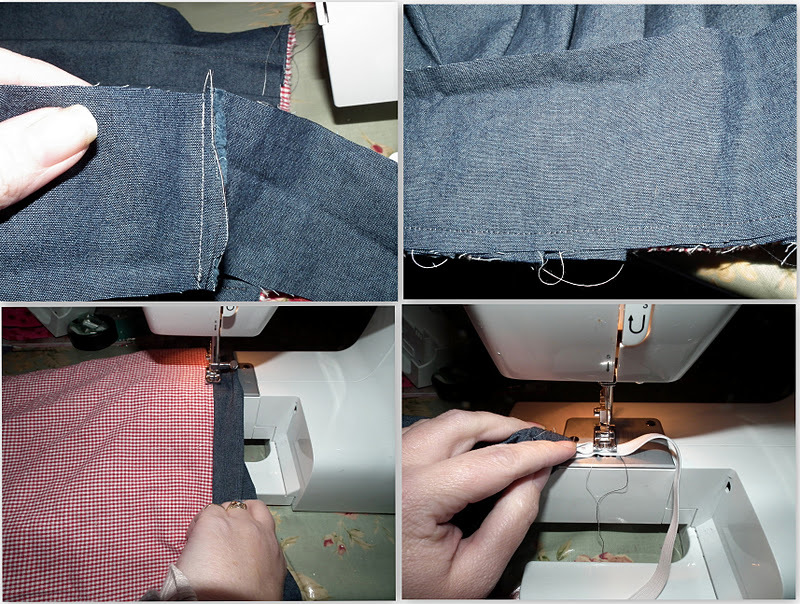 Step one - (look at the pictures above) start folding your main fabric into pleats, for the pink I made them rather big, for the jeans I made them smaller - which made for a wider skirt. 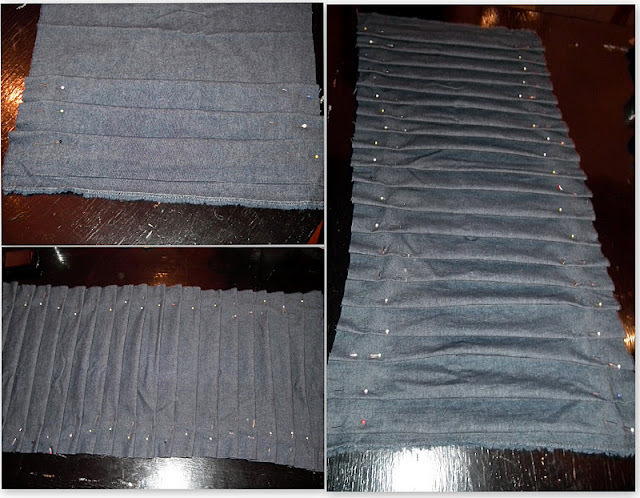 Fasten with pins, iron the pleats. 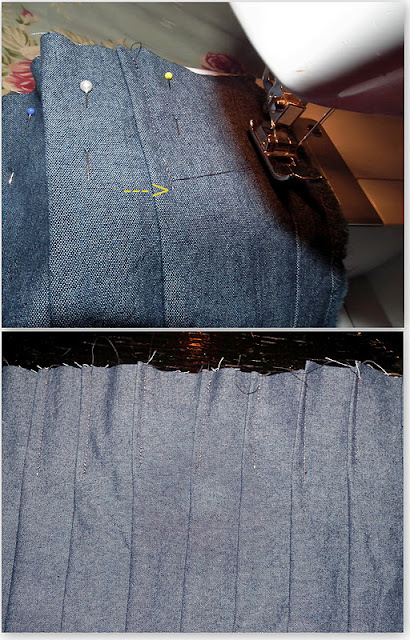 Step two: sew a seam, 2-3 inches from the top of the skirt down over every single pleat - look at the arrow. 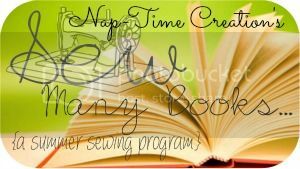 Step three: Cut the lining - lay your main fabric folded over your lining - the lining should be folded the same way. Cut the same piece. Step five: Turn skirts right side towards right side, sew the bottoms together. Step six: Sew the side seam on the waist piece. Step seven: sew the waist band onto the skirt, right side towards right side. Step eight: fold the waist band in half, sew together, make sure to leave an opening for the elastic. 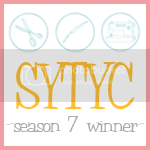 Step nine: pull an elastic through the waist band, sew the elastic ends and sew the hole in the waistband. I used a cotton, contrasting lining - but if I'm going to make another one, I will use a knit lining. The skirt is a little tight because of the lining, but the pleats are so movable they will work perfectly with a knit lining and there will be more room to move. I hope you enjoyed this first tutorial of 30 tutorials. Stay tuned for the 29 next ones.